Curious where Chris Ferguson is hiding out with his riches? Starting this week, we’ll be rolling out a new Poker Rumor Mill feature. These are nuggets of information that don’t necessarily warrant a full post, but will be passed along to our Insider subscribers. 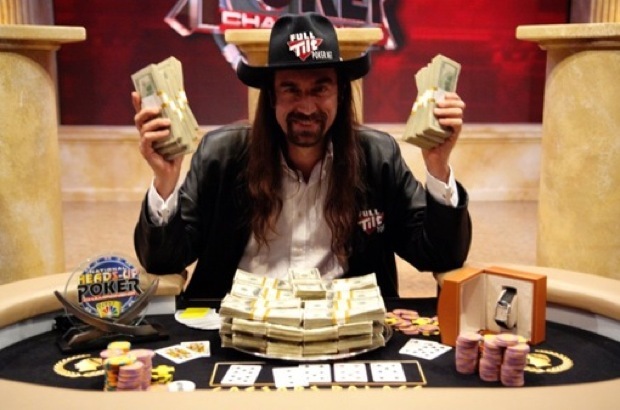 Here’s your Poker Rumor Mill for the week of January 23, 2012.
:: According to sources, Chris Ferguson is currently holed up at Robert Williamson III‘s house in Texas. :: Relatedly, Howard Lederer is still at his house in Las Vegas, and Ray Bitar is still in Ireland. :: Yesterday, Subject:Poker detailed money Chris Ferguson loaned Full Tilt after Black Friday. He wasn’t the only shareholder however that was talked into floating the company some cash to keep the lights on. According to sources, Erik Seidel and Andy Bloch were among those who also put some of their distributions back into the company. :: Despite gossip and 2+2 threads, no, Daniel Negreanu and Maria Ho are not a couple. :: For reasons unknown, Clonie Gowen, on hand at the Aussie Millions this week for a FHM photo shoot, broke down in tears outside the Crown Casino before the cameras started clicking. :: WSOP head Ty Stewart has been spotted at the Aussie Millions, rumored to be finalizing plans for the announcement of WSOP Asia.